At the European School of Music students have been exposed to a variety of classical and contemporary music, ear training, music theory, playing ensemble, and performance opportunities at the annual recital. 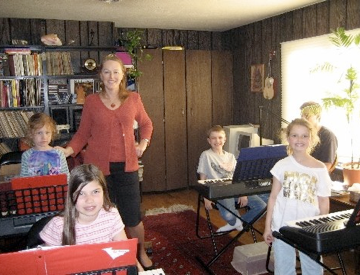 a complete experience within the study of piano or voice, as well as to develop musical skills, and foster a life-long love of music. Primary study occurs in group classes and continues with individual lessons focusing on the student’s personal needs. Let your children fall in love with music!